To manage searchers who speak multiple languages fluently, Google is testing a language split-view screen in the mobile search results. 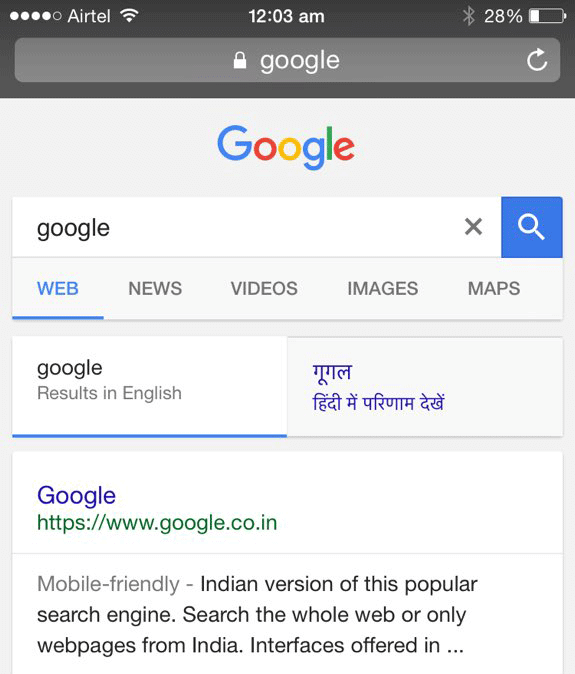 Google is testing a new method of showing multiple languages in the mobile search results interface in India. Abhijeet Mukherjee shared a screen shot of Google showing him two tabs, one for English results and one for Hindi results, in a single search results page on Google India. It makes sense that Google would test an interface like this for countries that have searchers who speak two or more languages fluently.